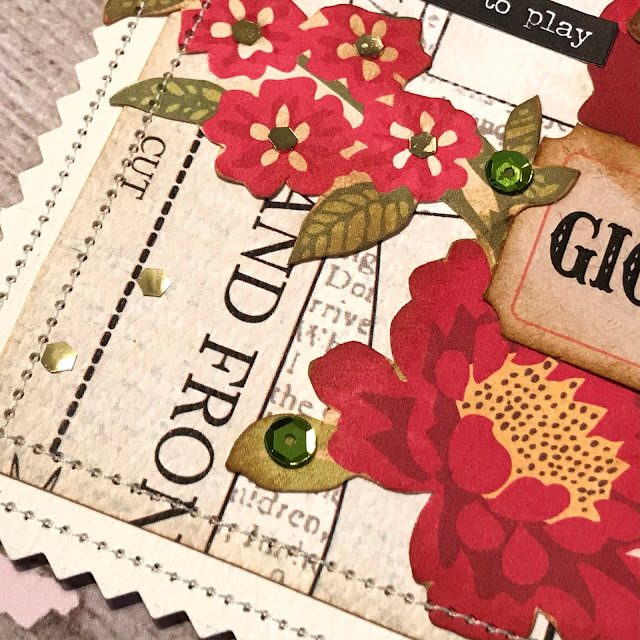 The Gypsy Magpie: don't forget to play! This year I'm making a conscious effort to play. No plan, no schedule. Just grab a bunch of stuff and see what I can do. I adore tags- there is something about them that fills me with ideas. Fussy cut flowers, machine stitching, sequins. 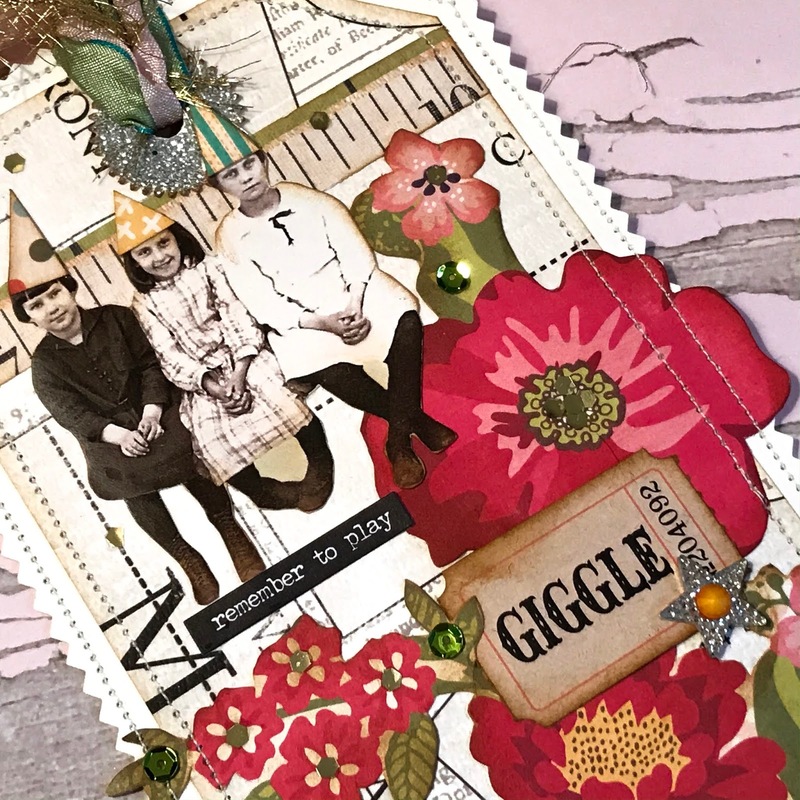 My latest obsession- I like lots of layers and lots of embellishment, but lately need to keep things as flat as possible (been doing a LOT of traveler's notebook pages). Sequins fit that bill perfectly! 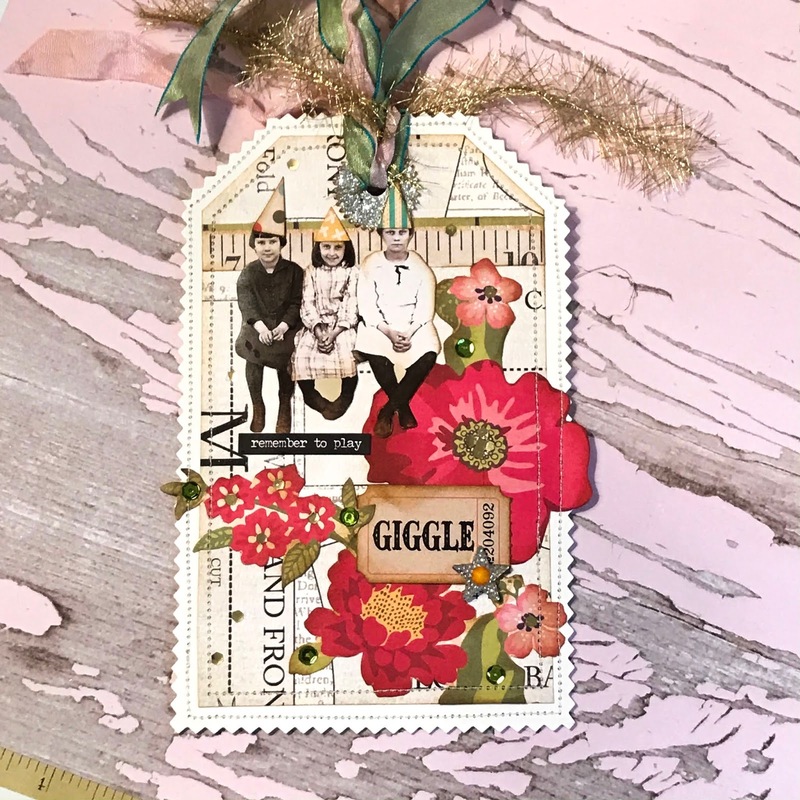 Added to the back of the tag is a lined card that can be used to write a sweet message. Just a little more sparkle and some beautiful silk ribbon to finish it up. Give yourself permission to get out there and play!